My spring break starts as I'm finished editing/citing a paper. Thankfully, that shouldn't take too much time tomorrow morning. Then its just packing, one class, lunch, and off to the Homeland! 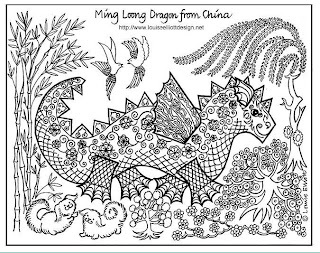 I thought I'd share some awesome coloring sheets I happened to find. I've printed several of them and hope to unwind over the break with some colored pencils and refrigerator-worthy artwork.